The way we travel is changing rapidly. Spurred on by the ubiquity of Wi-Fi from transit through destination, smartphones and tablets have replaced guidebooks as the new travel companion. Because it is easier than ever to stay connected when travelling – even at some of the world’s more remote destinations. And travelers are increasingly leveraging social media to connect with brands and share their experiences, good or bad. While brands across all sectors realize the need to have a real-time social media presence, the stakes are higher for those in the travel sector. Because travel is complex, with a litany of things that could go wrong – such as flight delays, weather disruption, booking problems, or even natural disasters – it has the potential to invoke as much ire as it does passion. To meet the evolving needs of today’s traveler, many brands have formed real-time social media teams or "control rooms," intersecting comms and customer services. Responding to customers in real time on social media is increasingly important because of the shifting demographics of travel. Millennials are more interested in traveling than older generations, according to Boston Consulting Group. Online travel site Expedia’s Future of Travel study revealed Millennials embrace loyalty programs more than older generations, but they also complain more loudly. Of 18- to 30-year-olds around the world surveyed by Expedia last year, eight in 10 consider online travel reviews to be "very important" or "somewhat important." The study also showed that 75 percent of Millennials rely on a tablet or smartphone for travel purposes. "Customers who have grown up with social media expect to engage with brands digitally or socially," says Sarah Gavin, senior director, integrated marketing, merchandizing, and comms at Expedia. "Today, Millennials expect complaints to be resolved on Twitter and if you are able to solve the problem quickly, you will have gained a loyal customer who is vocal and influential on social media and will shout your praises from the roof," she adds. Expedia has a cross-functional social media response team straddling marketing and customer support. The company set up the team two years ago, after its FriendTrips Facebook campaign saw social media followers surge. FriendTrips had consumers create their trips of a lifetime online with five friends. The six-week campaign recorded 1 million likes on Facebook. Gavin explains that the team was "nervous" at first about dealing with customer queries in the social space, but through testing and learning it has more confidence and shed its overly corporate voice. "Travel brands are being more proactive on social," says Benji Greenberg, CEO of social media agency BCV, which specializes in the travel sector. 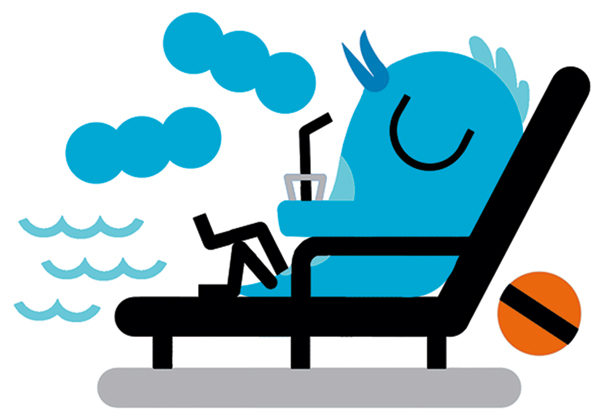 He explains that the conversations customers have with travel brands on social media have evolved in the past two years from tapping brands for freebies. "People spend a lot of time thinking about their vacation before they go, share it while they are there, and reflect on the experience when they come back," he says. "Brands need to be involved to ensure the conversation doesn’t spiral away from them." Capitalizing on positive conversations to "surprise and delight" customers has been a popular tactic, with brands scanning their social feeds for news such as birthdays and sending gifts. But aligning the virtual and real worlds effectively is a major challenge for travel brands navigating this space because the speed of social media means situations that occur offline have the potential to snowball online. For example, Southwest Airlines recently had a situation when gate staff told a frequent flier he was unable to get priority boarding for his children, so he turned to Twitter to complain about it. One of the check-in staff asked him to delete the tweet or be removed from the flight. This story was picked up in the media. Linda Rutherford, VP of communications and outreach at Southwest, says this issue raised important questions and meant the airline reviewed its internal procedures. "We hope to grow the social function so all staffers understand the rules of engagement," adds Rutherford. "It is part of our social business road map to work with the training department so employees understand the role social plays, which is changing all the time." She explains that quickly responding to customers on social media is an effective way to placate them. "Our speed at responding helps diffuse a lot of emotion, when they believe they have been heard and get a direct response." In order to mitigate friction, JetBlue ensures the level of customer service is consistent, both online and offline. "Our social channels are reflective of the level of service you can expect from any crew member," says Morgan Johnston, comms manager at JetBlue. The airline has a 24/7 social media response team who all have a background in customer support. Occasionally, customers who do not get the answer they want from a crew member might turn to social media to try to complain, he adds. However, JetBlue will always back the crew member’s decision and trust they handled the situation appropriately. Like Rutherford, Johnston agrees that it is key to "manage a customer’s expectations," which often means using Twitter to redirect them to the appropriate number to call. JetBlue tends to get back to people on Twitter within 15 minutes, but it has a slower response time on Facebook because people typically use the platform after they have traveled, not during. Hyatt is another brand that has a training system in place to ensure staff who deal with customers face to face understand the importance of "social behavior." The hotel chain, which has a dedicated social media control room, has devised a digital guide that educates staff on a range of topics, such as its social media strategy, measurement, and best practices. "Just as we welcome guests when they walk through our doors, the control room welcomes them and offers assistance when guests check in on social," says Hyatt’s Karen Dawson, VP of digital strategy. While there has been a real push for brands to listen and respond to customers on social media given the instant nature of the channel and people’s short fuses when it comes to travel, some wonder if brands are exposing themselves too much to an overwhelming volume of conversation. According to Marie Baker, VP of social media, who works with Coyne’s specialist travel team, "that monster has already been created" because high consumer expectations are already there. "Everyone is afraid of doing something awful and being in the news," she says. "Brands should be flexible and nimble because social changes every day. What works today might not work tomorrow. You have to be OK with failing." 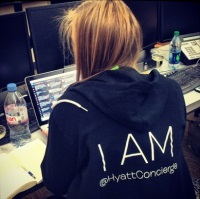 Hyatt’s control room and digital team collaborated on a Valentine’s Day campaign to spread the love to guests. The hotel chain sent a surprise Valentine’s Day gift of champagne and strawberries to 80 guests around the world who posted on social media about being at a Hyatt hotel that day. The social media team scanned social channels to determine who to send the gifts to. Some of the guests who responded to the gesture on social media were given further gifts. For example, one of its Gold Passport loyalty members tweeted that she loved the hotel and was given a free night’s stay at its Olive 8 hotel in Seattle. One man tweeted that he was missing his pregnant wife and was sent a care package of treats to cheer him up. Hyatt also ran a competition alongside the activity, giving away three weekend stays in Las Vegas to people located in San Francisco, Chicago, and Los Angeles who tweeted "three little words" about why they wanted to win with #InAHyattWorld. Among the winning tweets was one that read: "Our First Kiss." This story first appeared on prweek.com.